Begin by typing the infinitives and corresponding verb forms on the powerpoint template. Be sure to put the verb forms in the opposite direction so that line up when placed on top of each other. Then, print out the two verb sheets and the the puzzle image that you would like, and photocopy the subject/infinitive sheet onto the back of the image that you chose. Card stock is more durable, but regular paper works as well. 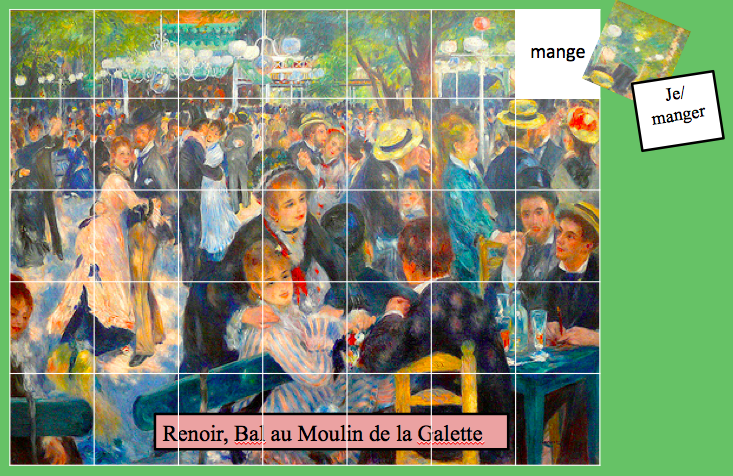 And finally cut out the squares along the lines dividing the subject/infinitive pairs. 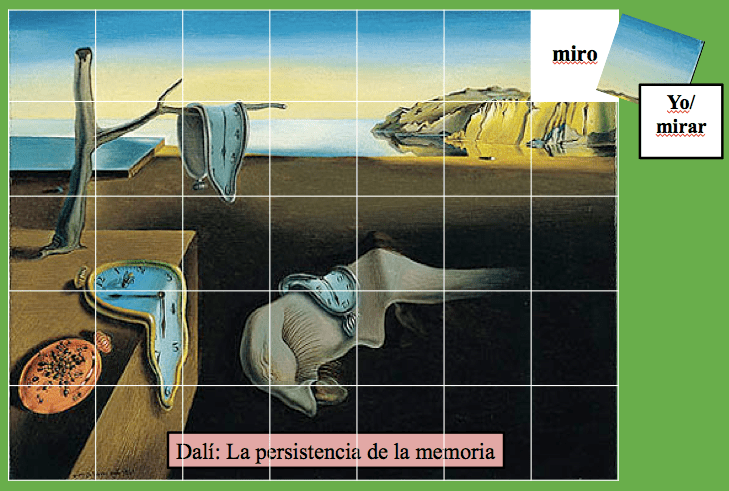 The templates have 10 images to choose from (5 famous paintings 5 landmarks). 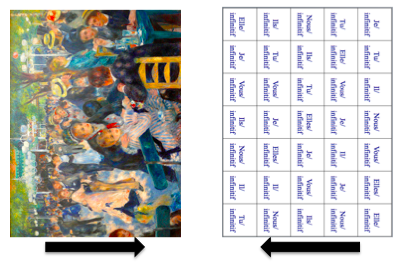 There are also two version of the verb puzzle that can be used with any of the images. Students match the subject/infinitive to the correct verb form on the puzzle board and place the subject/infinitive on top of the verb form with the image side facing up. They continue until the image is complete.